Something so everyday can be intimidating to us. 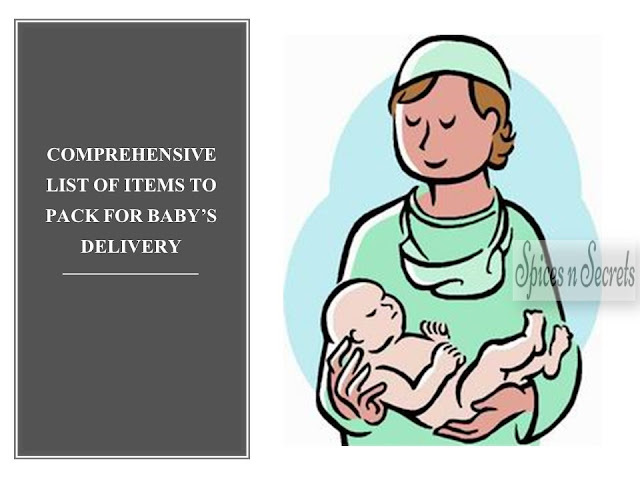 And, therefore our most preferred option is to buy from store. 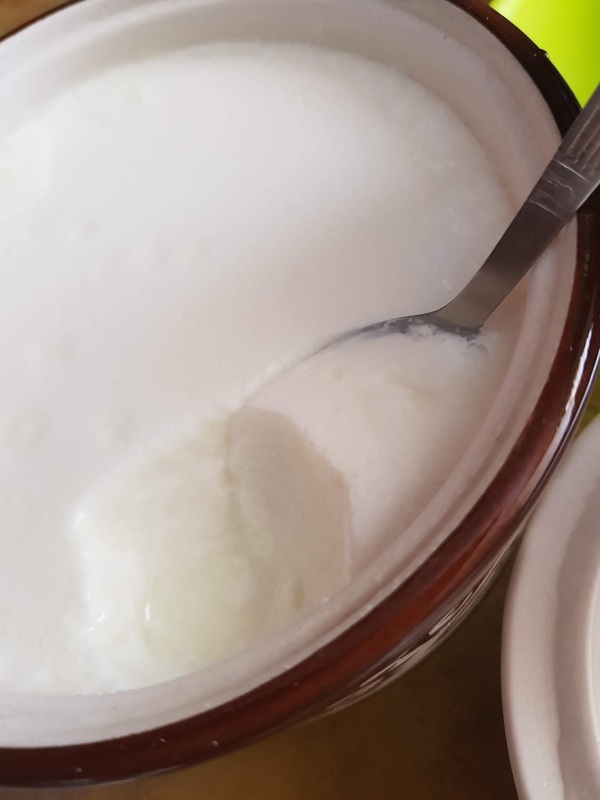 In India, my home in summers is never without sour yogurt. I eat it plain or with sugar. My husband loves it with salt and pepper. 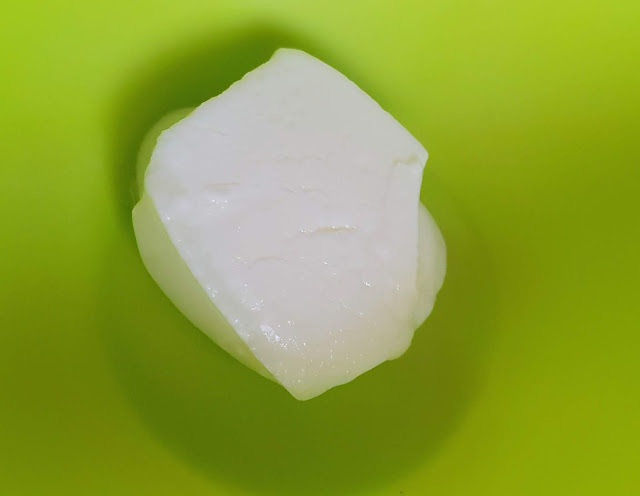 We serve sour yogurt as a sweet salty drink with ice cubes. We also use yogurt in making rich and flavourful gravies, and to marinate meats. Yogurt also replaces at times milk when preparing breakfast bowls with oats and cornflakes. 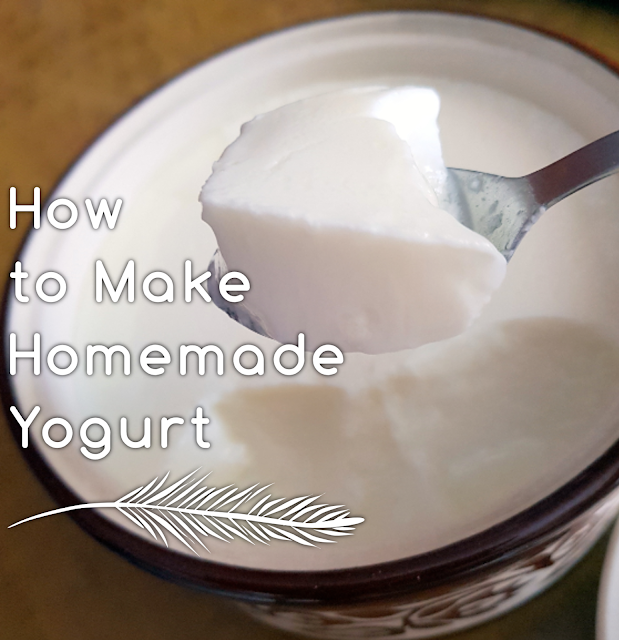 With such a versatile usage, yogurt is sometimes hard to prepare at home and store bought ones comes in handy. 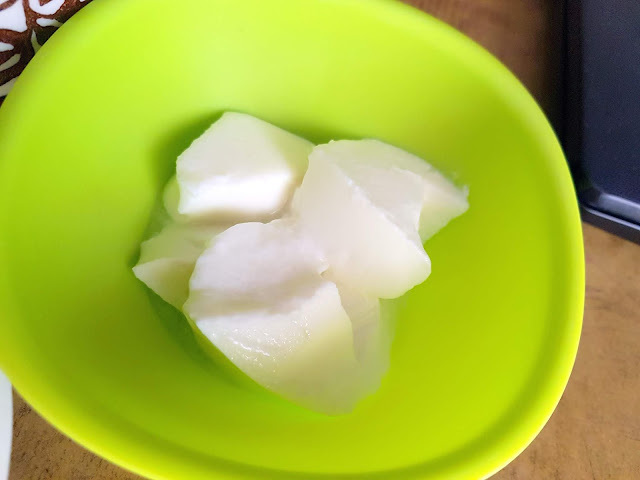 So, today I have set out to share my tried and tested yogurt recipe. My yogurt despite not made with full fat milk, is creamy and cuts like a pudding. 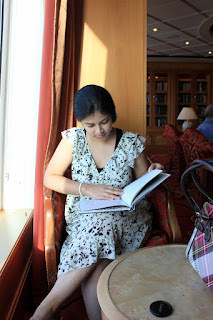 I have never alternated my way of preparing it because I find it the best. I always boil milk even when the label in the milk pouch reads "pasteurized". Its just a habit I got from my family. The benefit I get from boiling is the separation of the fat from milk which I gather and store in freezer section. This fat/cream is very tasty when mixed with sugar and spread on a toast. Warm milk just enough to touch it without scalding your finger. To it add sour yogurt (keep a tablespoon from the previous preparation or buy a store-bought sour yogurt). This tablespoon of yogurt is called "culture". Whisk the culture vigorously into the warm milk. And pour the mixture into the ceramic bowl and place the lid. Keep the bowl for 10-12 hours at room temperature in a clean place with no direct sunlight. Only after 10 hours check the yoghurt and jiggle the bowl slightly to see its firmness. When the yogurt jiggles less and is firm to touch (the finger should not sink in like it would in a liquid) the yogurt is set. Place the yogurt bowl in fridge to stop the enzymes to work more on souring. Chill for atleast an hour before serving. 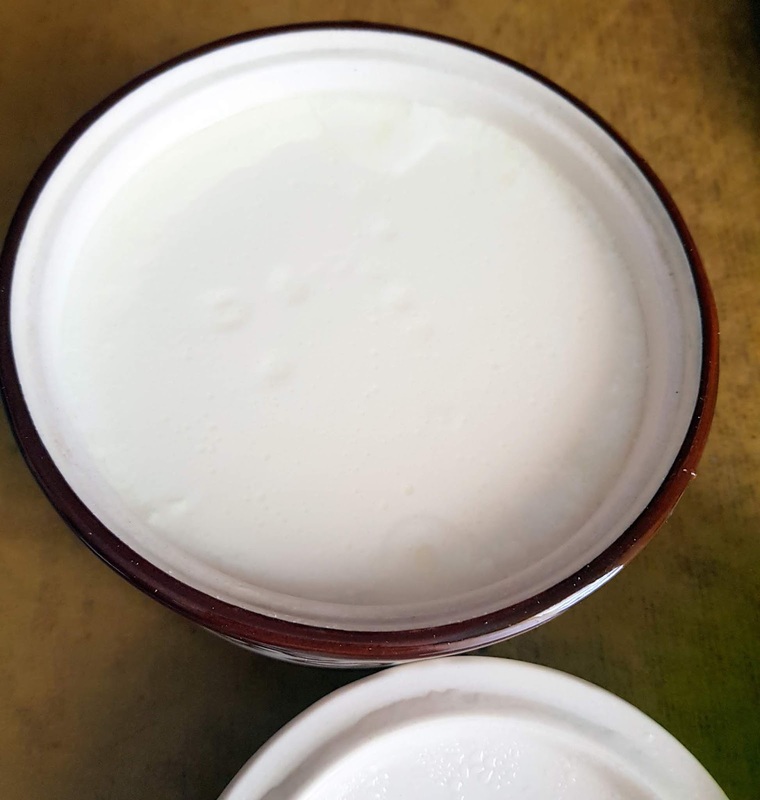 If kept for longer in room temperature, the yogurt will show bubbles and water will separate from yogurt, meaning that your yogurt is very sour. It is still edible though. 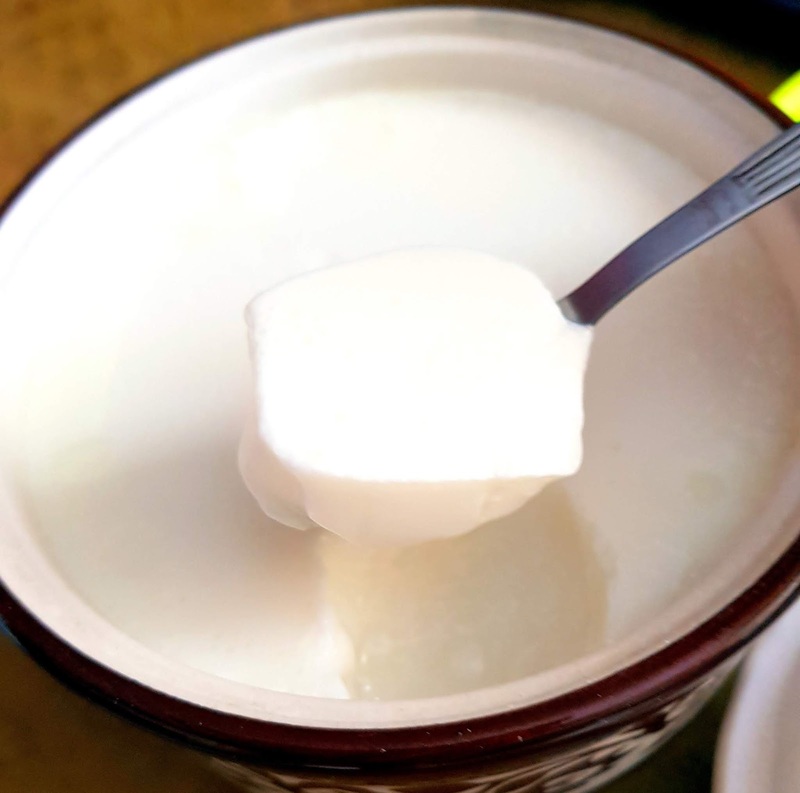 One can use full cream milk and reap extremely yummy and creamy yogurt. The temperature of the milk is important. If it is too hot then even a slight addition of culture will split the milk. And if the milk is cold then the yogurt will take more than 12 hours to set. The warm milk aids activating the yogurt enzymes and begin the process of making yogurt faster. 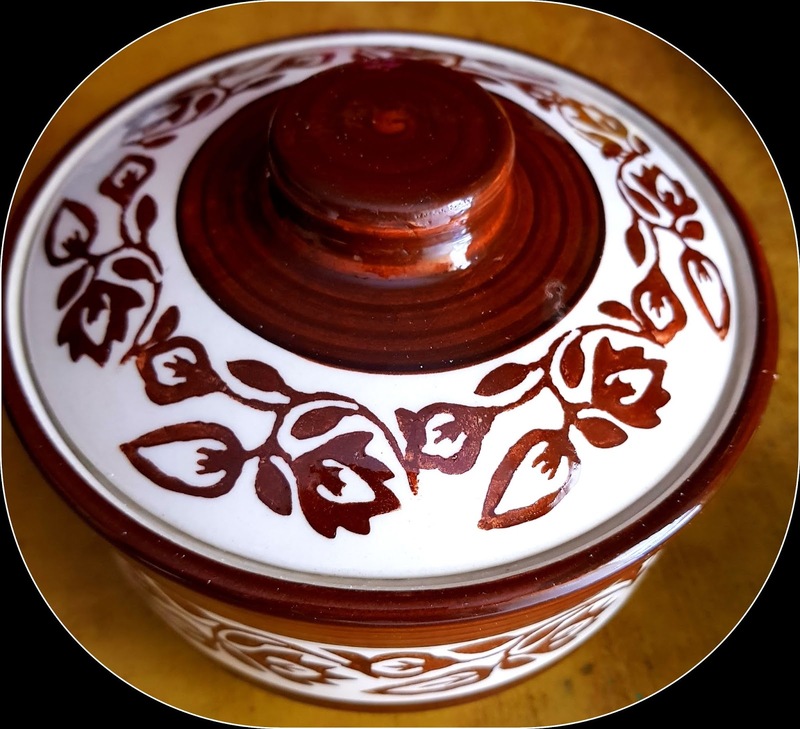 Ceramic vessel is best for setting yogurt because yogurt is an acid and ideally should not be kept, served or consumed in a metal utensil.